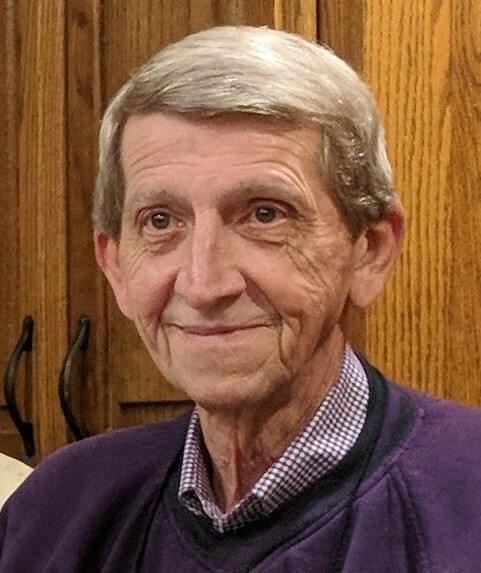 Michael “Mike” Ayers, age 71, of Marion, North Carolina, departed to be with the Lord on the morning of Tuesday, April 16, 2019 at Mission Hospital-McDowell. A native of McDowell County, born January 23,1948, he was the son of the late Rex and Gwendolyn Patterson Ayers. Mike was a member of St. Mark’s United Methodist Church in Pleasant Gardens. He was a graduate of Western Carolina University and took great pride in being a member of Kappa Alpha Fraternity. He loved North Carolina University sports, especially UNC basketball. He was also an avid Atlanta Falcons and Braves fan. Mike held numerous part time jobs in retirement, but loved working at the McDowell Mission Ministries most of all. He is survived by his friend and former wife, Jennie Ayers; two sons, Aaron Ayers and Chris Ayers; two brothers, Robert Ayers (Sandra) and Wayne Ayers; one sister, RexAnne Ayers Domencio (Rob). A private celebration of Mike’s life will be held at the First Presbyterian Church Fellowship Hall in Marion. Those wishing to make a memorial donation in his memory are asked to consider, McDowell Mission Ministries, 804 State Street, Marion, North Carolina (www.mcdowellmission.com) and/or to a charity of ones choice.